Next to a shoe that made the Guiness Book of Records. We boarded the autobuses ifach coach at 09.00am .We were greeted by Crista out guide and our driver Antonio. 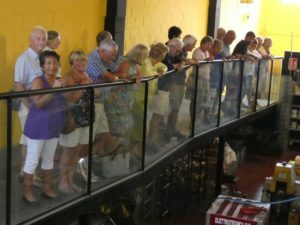 Twenty Calpe U3A members headed off for the AP7. A 10 min. comfort stop was enjoyed on the journey. In what seemed like a short time we arrived at the footwear museum. 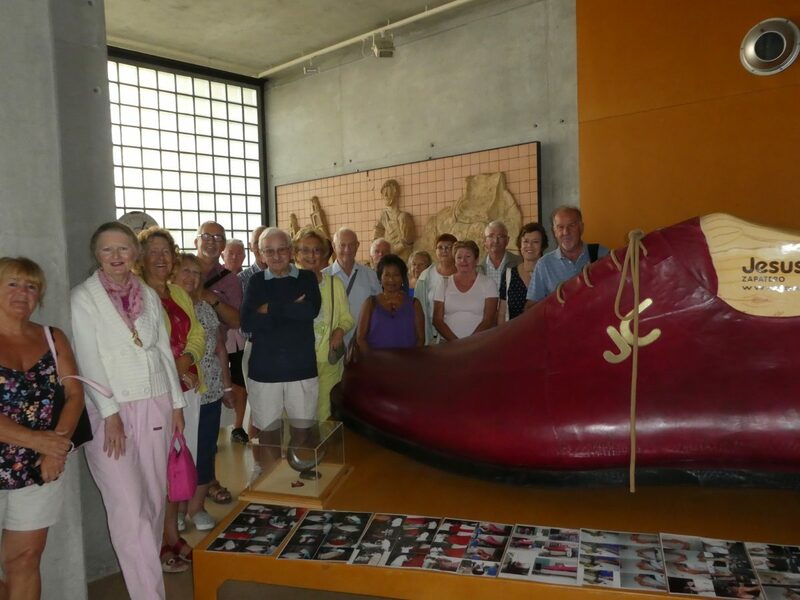 The ELDA footwear museum has one of the largest colllections of footwear related items; tools and machinery (lots of singer sewing machines) historic footwear;Roman and Egyption. 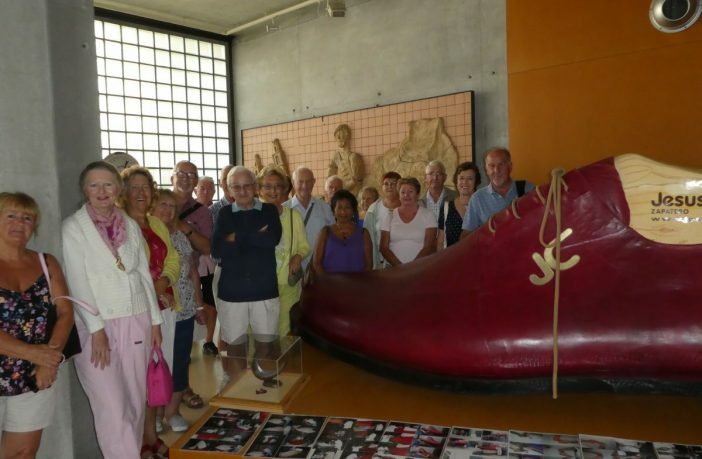 The oldest exhibit is a childs boot from the 14th century. In display cases were shoes belonging to celebrities I.E. Julio Iglesias among many others. Our Guide Antonia spoke English and explained the shoe making process. the ELDA shoe factory provided the locals with good employment and gave them prosperity. The shoes are now sold worldwide. Crista called the coach and we set off for The Salvador Artesano Factory/outlet it boasts the largest factory/shop in Europe. Some of our people enjoyed the buying process and liked the discounted prices. Now it was time for lunch at the Asador Mayor Restaurant. We were seated in the private area and enjoyed the house salad and choice of wines. The service was good . we tried the local soup very tasty it even included a poached egg! Our choice of Chicken was cooked to perfection on the open grill. we all had time for a chat after the meal and boarded the coach in a relaxed mood. After a smooth journey home we arrived back to Calpe at 17.30/ 5.30pm. A big thank you to the travel team and Crista for looking after us on the great day out.